Using eyeSights technology, users of iPhone 4 and iPad 2 can operate their devices with simple hand gestures, allowing them to consume content and operate apps and games in an exciting manner. Herzeliya, Israel – eyeSight Mobile Technologies, a developer of Touch Free Interfaces for consumer electronics, has added iPhone 4 and iPad 2 to the family of devices supported by its innovative technology, enabling the operation of these devices by simple hand gestures. Android, Windows, Linux and Meego are already supported by eyeSight’s Hand Gesture Recognition Technology and the addition of iOS and Apple's advanced portable devices will allow the company to further increase its offerings. eyeSight’s software-based technology complements the iPhone and iPad touchscreeen user interface, enabling the easy usage of applications and content in situations in which touching the device is not ideal, such as driving, cooking and so on. eyeSight’s technology meets the growing market demand of new and enhanced user interaction with devices. eyeSight’s solution offers touchless control for tablets, mobile phones, PCs, TVs, Set top boxes and various other camera-enabled devices. The Touch Free user interface will allow users of iPhone 4 and iPad 2, devices which are equipped with a front-facing camera to benefit from an entirely new user experience, enabling them to easily and intuitively control their devices by using simple hand gestures. 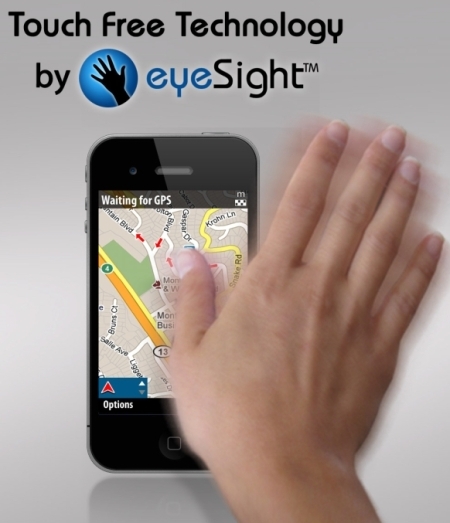 A touchless controlled application integrated with eyeSight's technology will soon be launched on the App store. The technology requires no special hardware and uses the standard camera that is already built into the advanced models of iPhone or iPad to control functions and applications such as calls, music and video players, games, web browsing and other usability options. 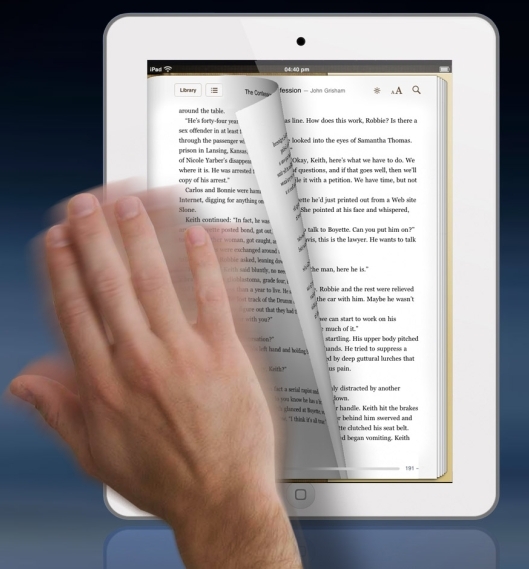 eyeSight Mobile Technologies is a leader in touch free Interfaces for consumer electronics. Its technology allows users to control mobile and portable devices with simple hand gestures by using the built-in camera, advanced real-time image processing and machine vision algorithms. For more information about eyeSight, visit www.eyesight-tech.com.